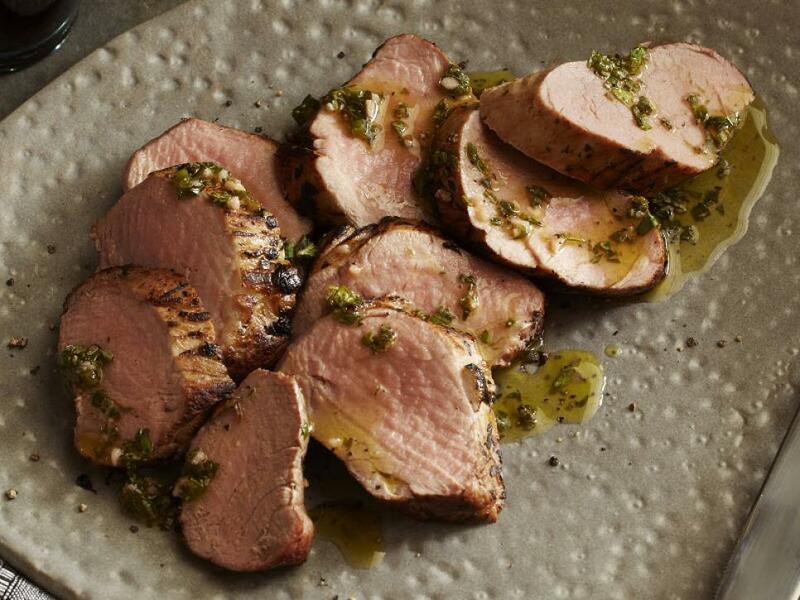 This collection is filled with tender, tasty and flavorful recipes for pork tenderloin. 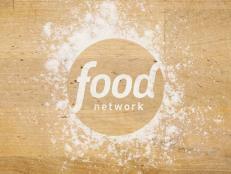 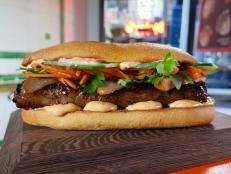 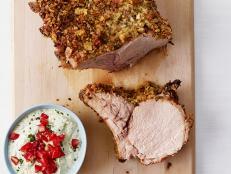 Rachael Ray's trick to flavorful tenderloin? 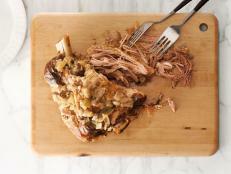 Cut small slits into meat and disperse chunks of cracked garlic cloves into the roast. 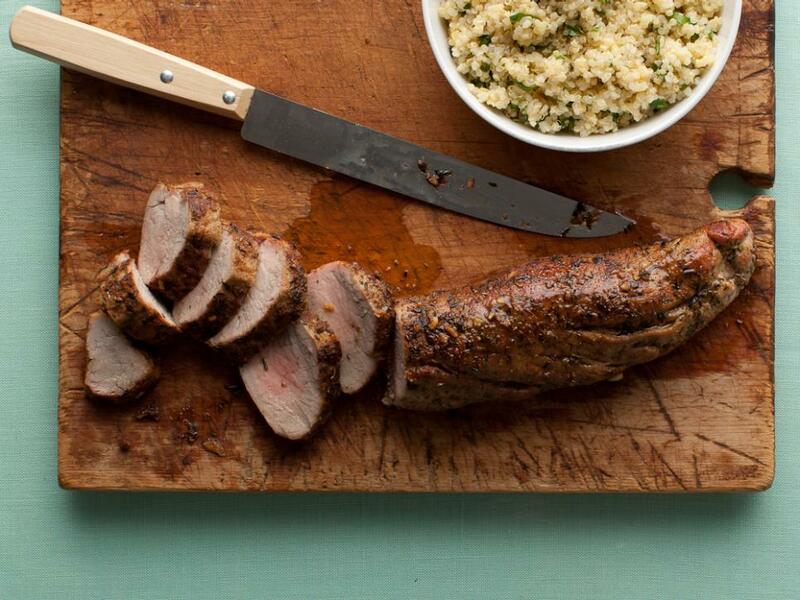 A more flavorful pork tenderloin would be hard to find. 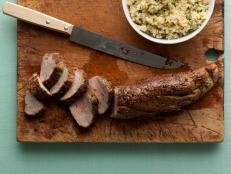 This lighter loin recipe calls for garlic, cumin, oregano, coriander and thyme for its rub. 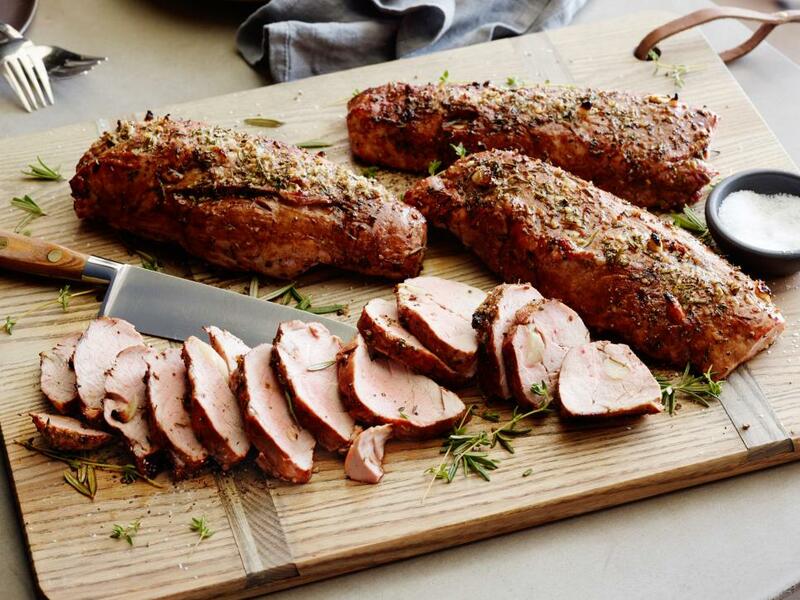 Simple ingredients, including garlic, Dijon and a mix of fresh rosemary and thyme, add up to rich flavor in Ina Garten's pork tenderloin. 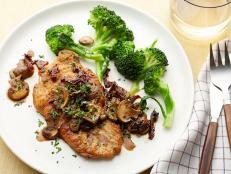 Rich and hearty bacon and mushrooms fill this tenderloin with flavor. 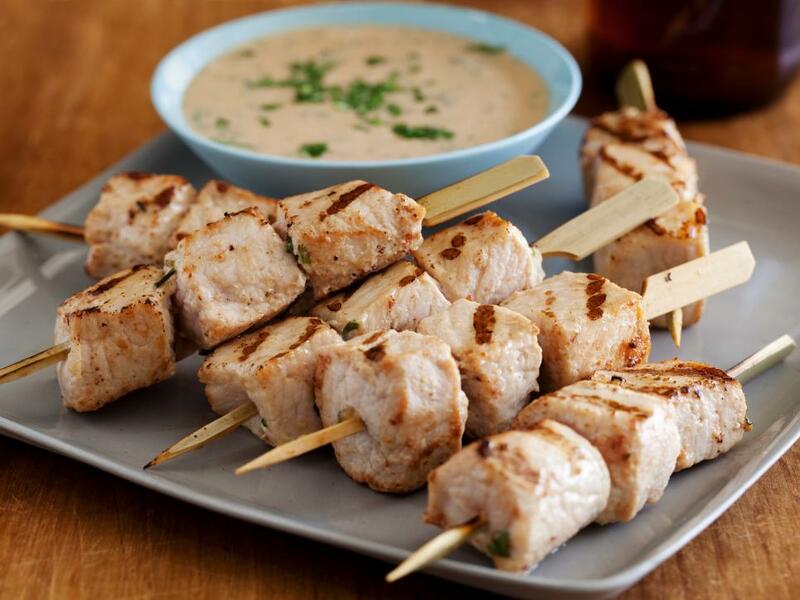 Soak toothpicks in water to make sure they hold the tenderloin together without burning. 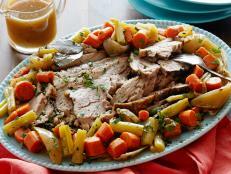 Have a Greek feast with grilled-to-perfection pork, served with apricots cooked in a wine, honey and shallot sauce. 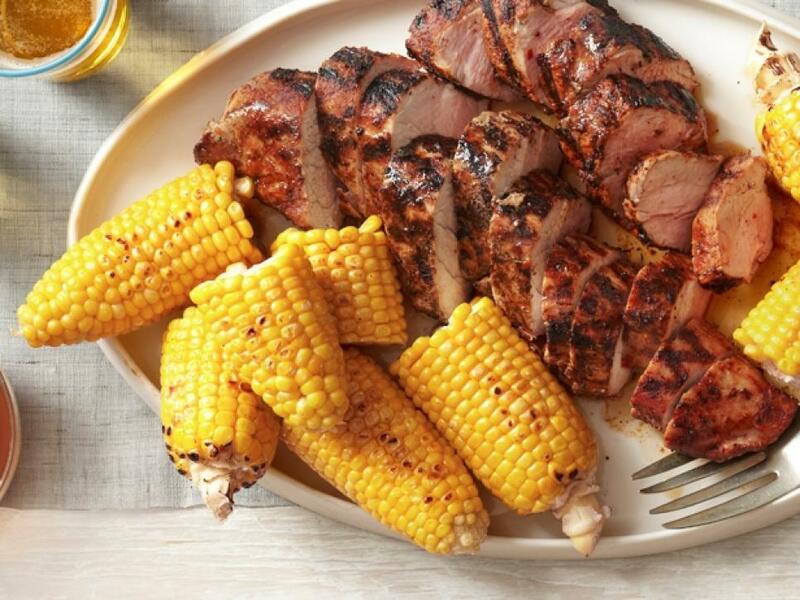 Rub pork tenderloin with paprika, brown sugar and other spices, then grill the meat to perfection before drizzling it with a brown sugar and ketchup sauce. 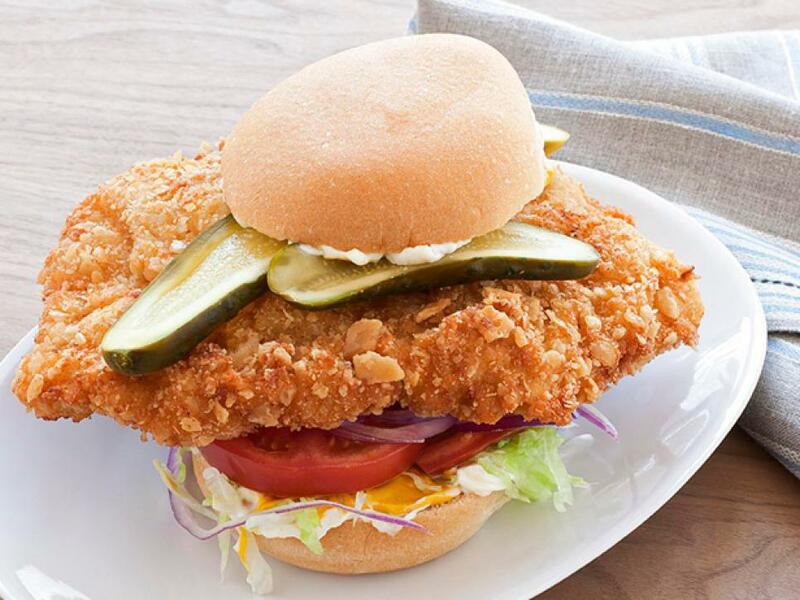 To make these fantastic sandwiches, you pound pork tenderloin out to make a thin disk of meat and then coat it in a buttermilk batter and fry to perfection. 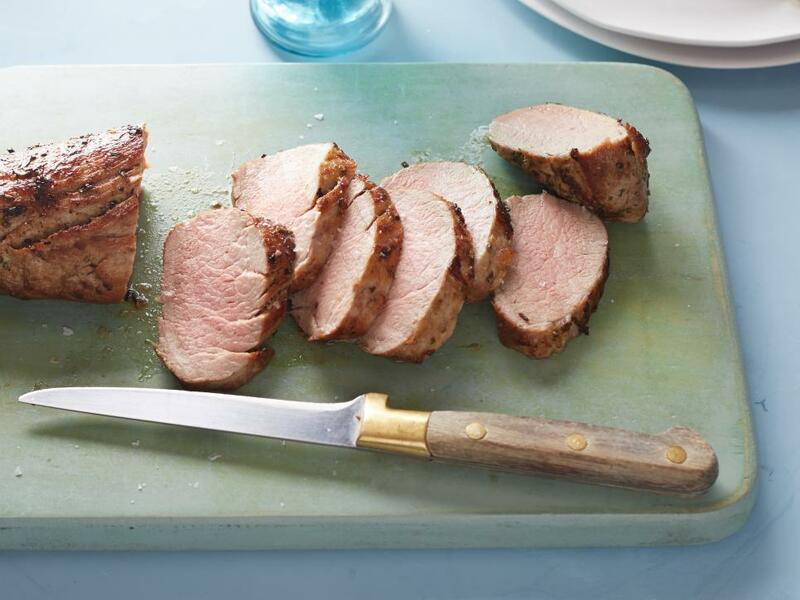 Pork tenderloin is not only quick-cooking but budget-friendly, too. 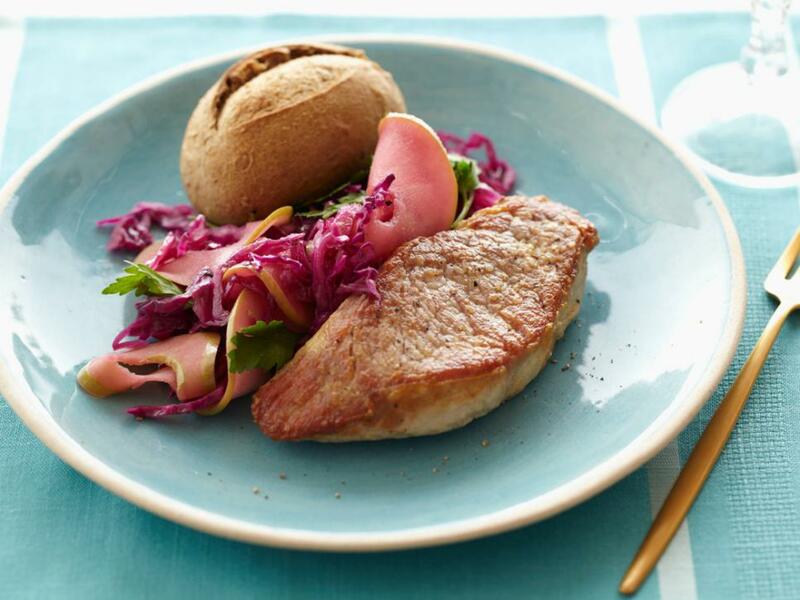 Slice it to make pork "steaks" and serve it with cabbage and apples simmered in the flavorful cooking juices. 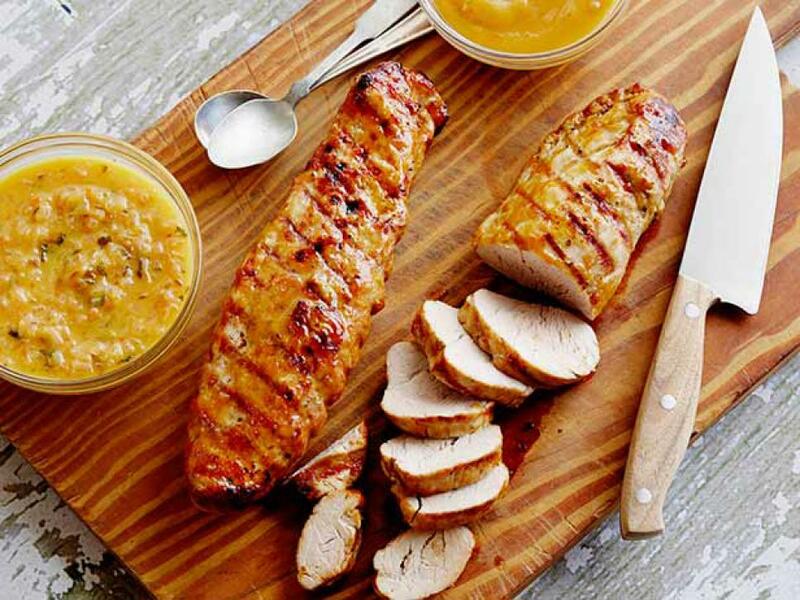 This recipe takes inspiration from a favorite concession-stand snack, using pretzels and mustard as breading for tenderized pork cutlets. 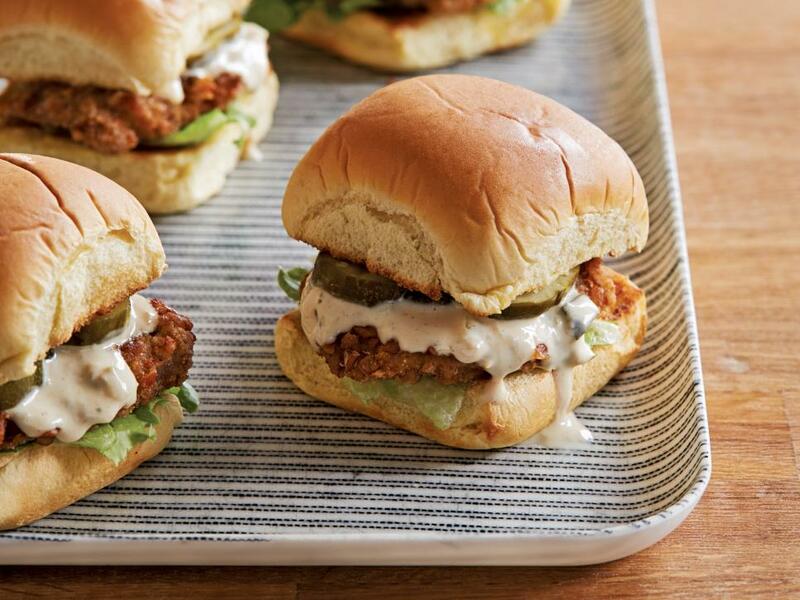 The sliders are perfect for tucking into on game day. 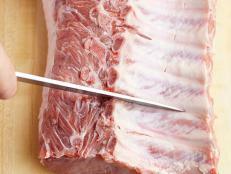 Brine and then grill pork tenderloins to get smoky flavor on the outside and tender, juicy pork inside. 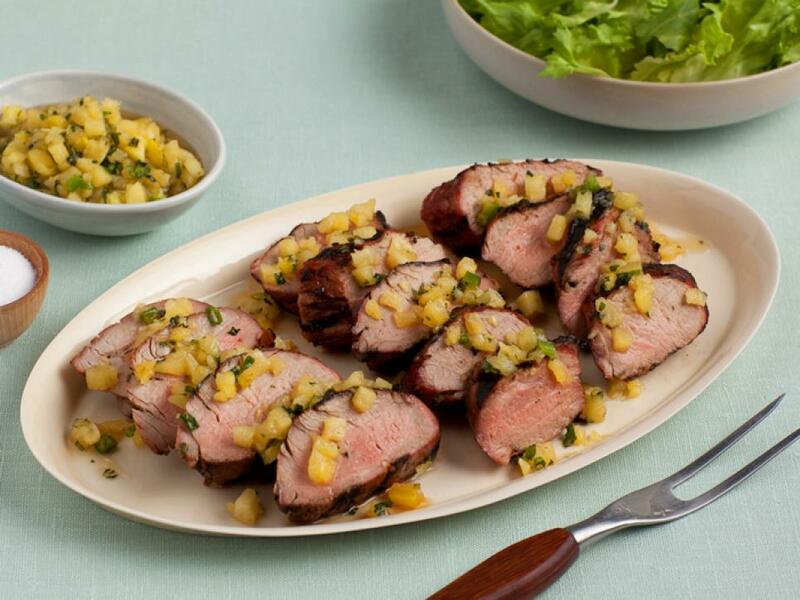 Top the pork with homemade pineapple-mint chutney. 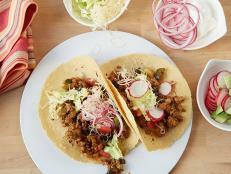 The heat from the chipotle enlivens both lean pork and lean slaw. 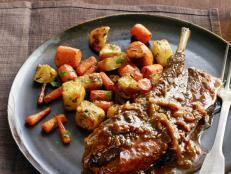 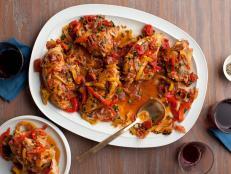 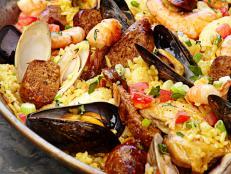 Bright but hearty and filling, this quick main dish is great for the grill. 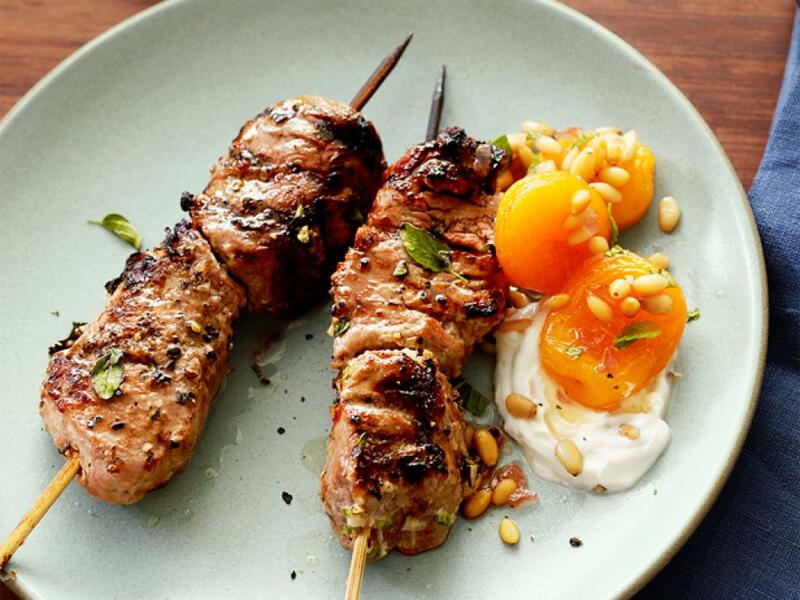 Add a tropical twist to your next cookout with Bobby Flay's tasty pork skewers, served with a coconut-peanut dipping sauce. 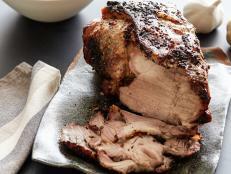 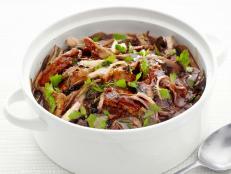 This supple and juicy pulled pork starts with a surprising choice: tenderloin. 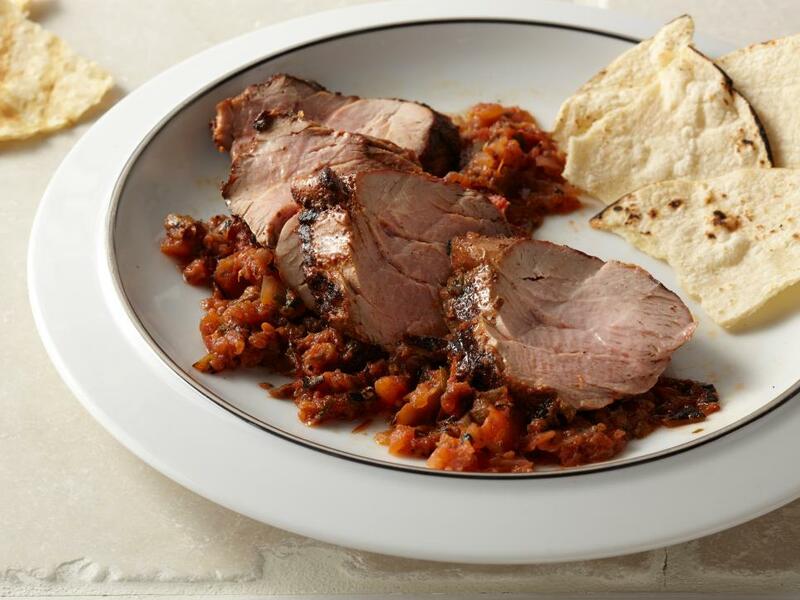 Simmering large pieces of pork tenderloin in a tangy sauce and then shredding it with two forks results in tender meat tossed with lots of rich, flavorful sauce. 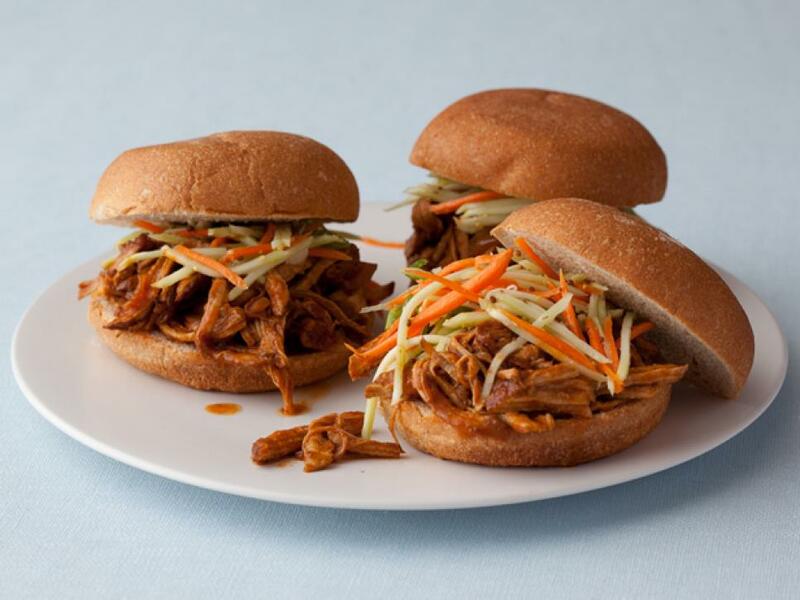 The final touch is a crunchy broccoli slaw with a mustardy dressing. 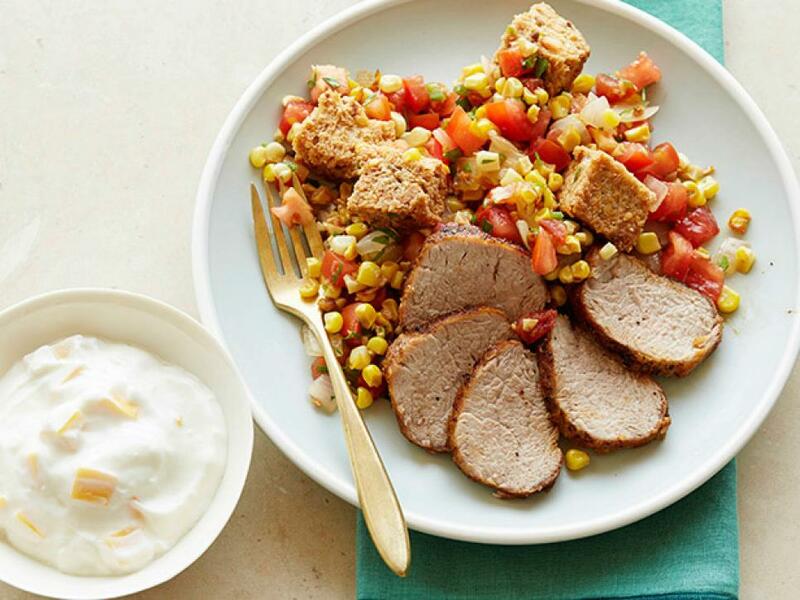 Char tomatoes, jalapenos and onions on the grill before pulsing them into an easy salsa that brightens up spicy grilled pork tenderloin. 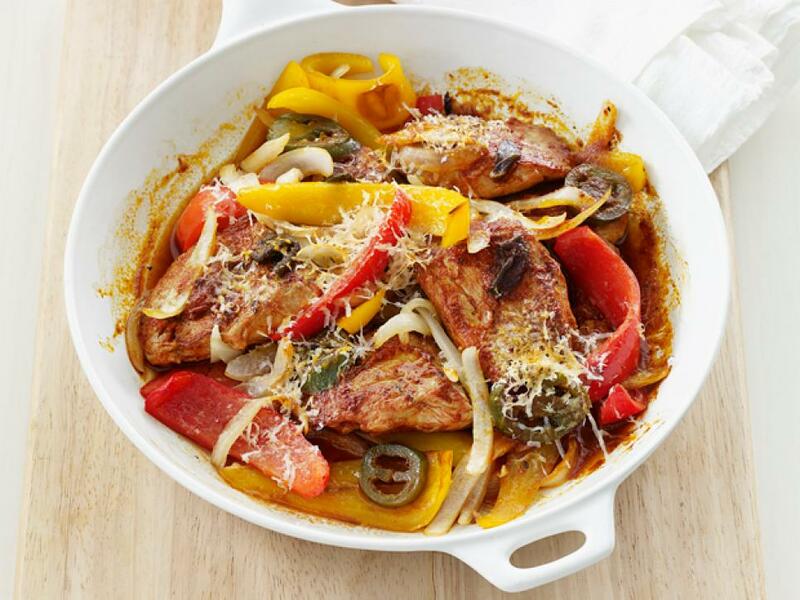 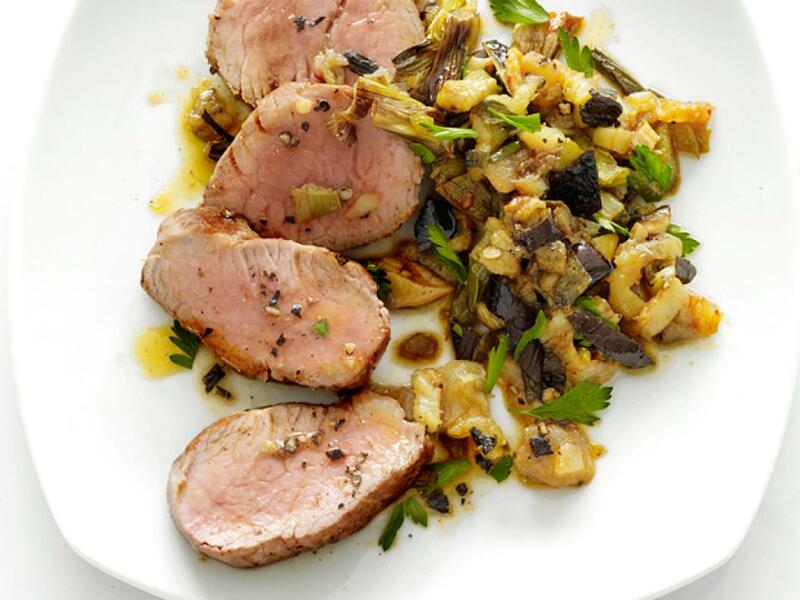 Make a healthy, well-rounded dinner of tender, sliced pork tenderloin paired with an easy-to-make eggplant relish packed with peppers, garlic and jalapeno. 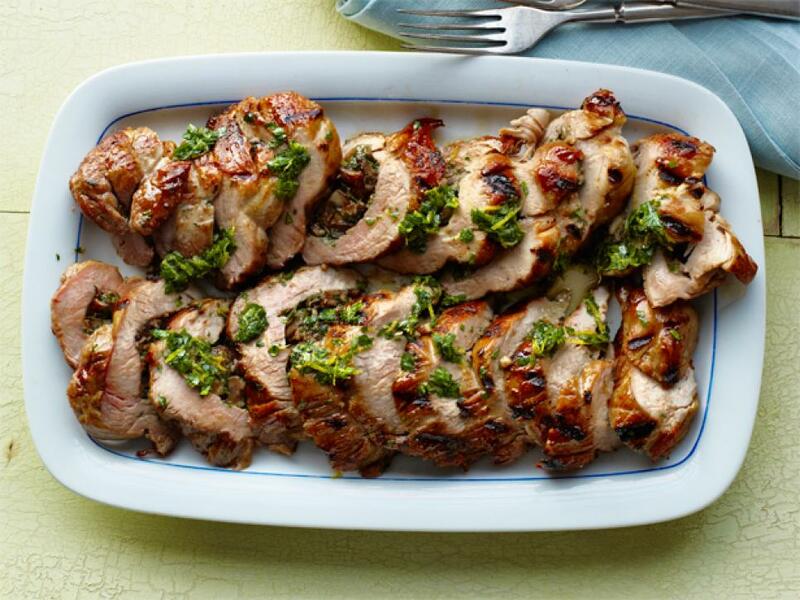 Whisk the ingredients for a vibrant chimichurri — parsley, oregano, garlic, jalapeno, vinegar and lime — in a bowl for marinating and serving with the meat. 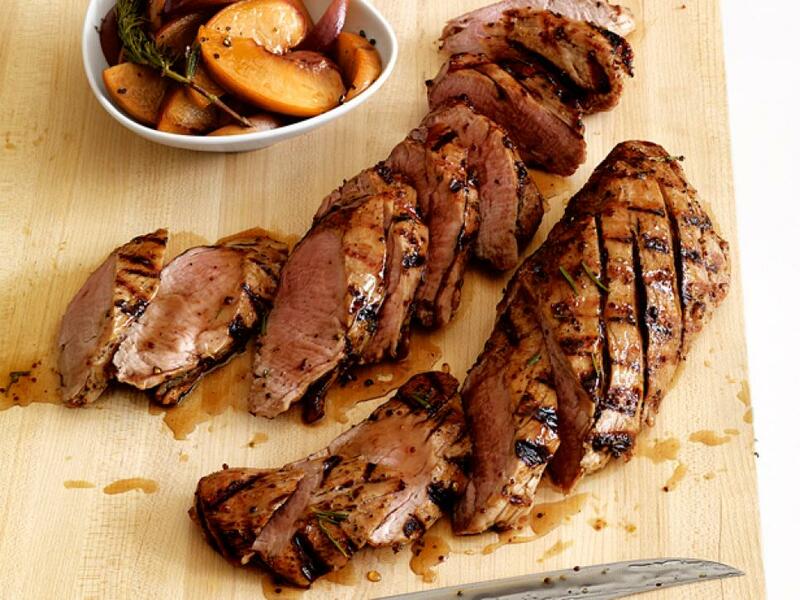 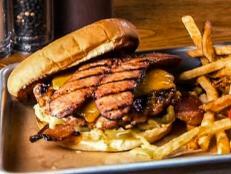 Let the flavors marry as the pork tenderloin grills to perfection. 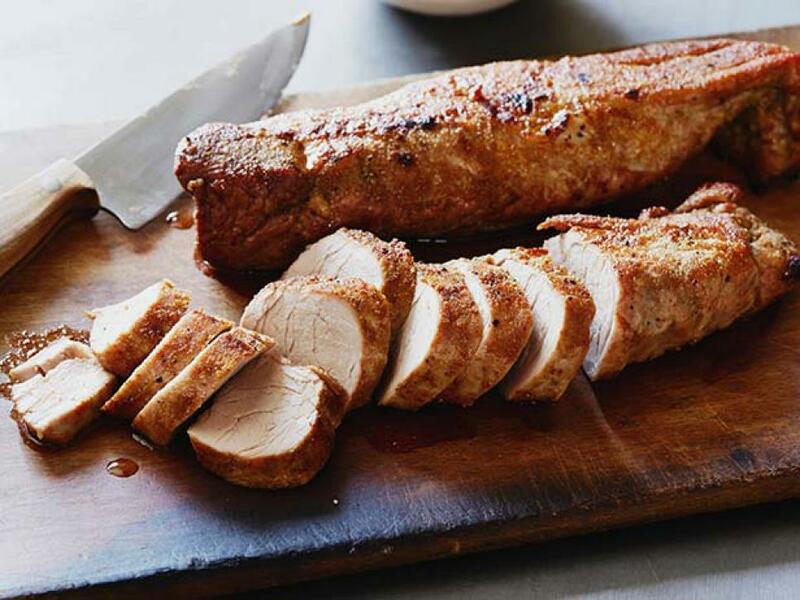 Oven-broiled until golden, this shortcut barbecued pork tenderloin gets big flavor from a rub of garlic powder, ground coriander and ground ginger plus a tangy-hot sauce of maple syrup and chipotle peppers. 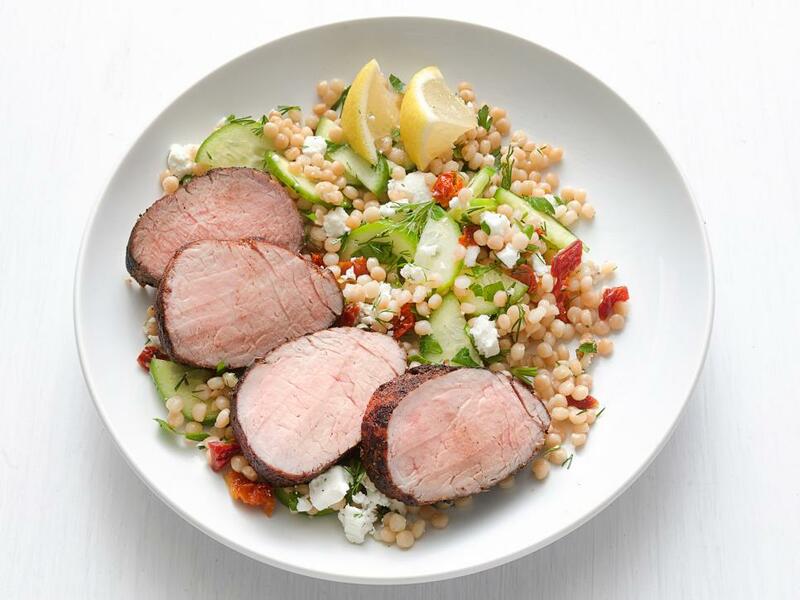 Pair spice-rubbed pork tenderloin with an easy couscous salad loaded with cucumbers, feta and sun-dried tomatoes. 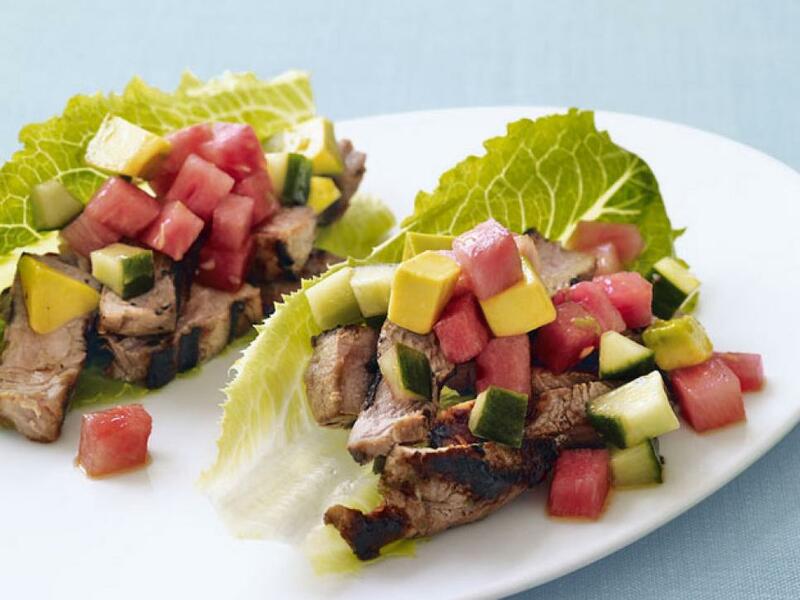 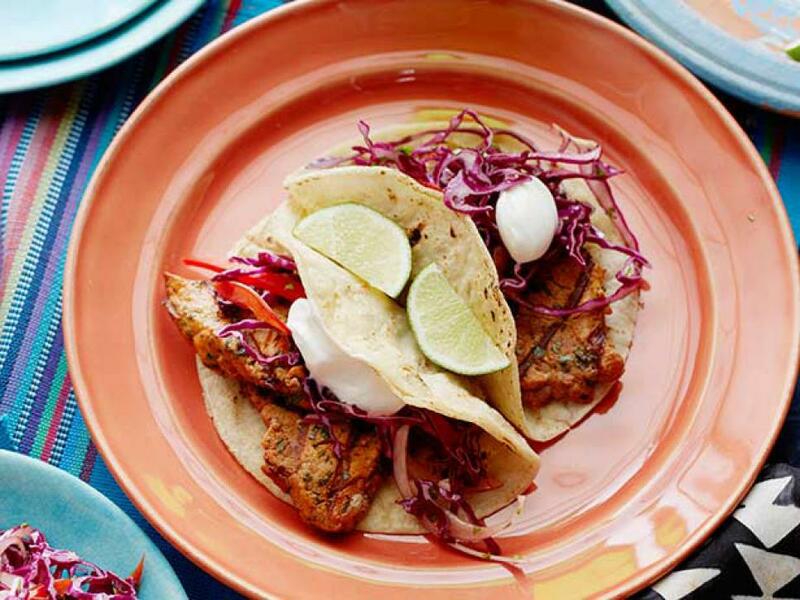 Guy Fieri swaps lettuce shells in for tortillas for a light, flavorful and crispy vehicle for his marinated and grilled pork tenderloin.